Did Jesus Die For Your Sins? 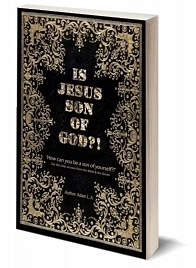 Is Jesus a “Son” of God?? Stierf Jezus Voor Jouw Zondes? 01. The Theory Cannot explain The Creation of the First Living Cell. 02. Mutation is always either Harmful or Mutual almost Never Beneficial. 03. Mixing Genes in nature or in the lab does Not make new Genes. 04. The theory implies that “Intermediate forms must have existed” and after more than one million fossil was found, still officially they didn’t really find not a single intermediate fossil of a Creature. 05. Darwin have said that “if they find a life form which is not made by successive slight modifications, my theory would absolutely break down” and they already found too many for example,The Bacterial Flagellum Motor, which is a motor at the rear end of the cell, this motor is made out of 40 different parts and according to Harvard University “it is the most efficient ma chine in the Universe” and it could not have been made by successive slight modification. 06. 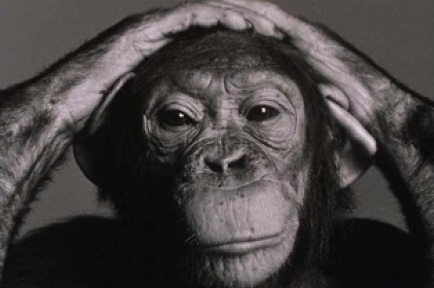 If Evolution Theory is correct, Why do we see a Huge Gap in Intelligence between Humans and Animals? 07. The complexity of the Cell and the DNA, scientists have tried in a computer simulation of a random creation of a cell, if the DNA would evolve or randomly form, and they found out that it would take 5,000.000.000.000.000 Years that is more than 108,000 times the life on Earth, let alone to form a living cell. 08. DNA, RNA, Protean, Replicating Systems in the cell must have been prefect from the very start and if not life systems could not exist. 09. Why do we have Males and Females? if Evolution theory is correct we should have one creature that can reproduce, so how did males and female came about by “Natural Selection”? He said: “To Suppose that the Eye could have been formed by Natural Selection..is Absured in the Highest Degree“. 11. Geological records proofs that Life is Suddenly Aroused, they call it The Cambrian Explosion, so from what this complex creature evolve from, Earth age is about 4.5 billion years but if we assume the Earth age is 24 hour then life existed within only two minutes. 12. Where does the DNA CODE come from? have you ever seen a computer program write itself? even the simplest living cell the Micro Plasma requires more than 200 Genes, the chance to make one single protean randomly is 1/10164 that is one in more than 10 x the amount of Seconds since the Big Bang, and there are more than 100.000 types of proteans, you do the math, of course at Darwin’s time they didn’t have a powerful Microscopes and they didn’t know what DNA is. 13. The BODY PLAN is the Blue print of the Form, the Shape, the Characteristic of the creature, and it is not in the DNA, Science still have no idea where does it come from. 14. Pocking a living cell, Scientists did a lab test by providing the perfect conditions for a living cell then they pocked the cell and even though all the molecules necessary for a living cell is in there, the cell does not come back to life. 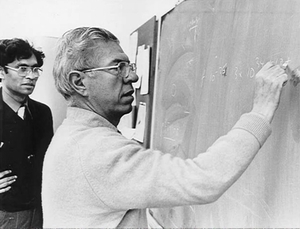 He calculated that the chance of obtaining the required set of enzymes for even the simplest living cell without panspermia was 1/1040,000 that is 1/10000000000000000….. 40.000 ZEROS!!! chance, It would take 10 to 20 pages to write the zeros only, Even the number of Atoms in the known observable universe is infinitesimally tiny by comparison it is about (1080), So how could anyone after this say it is by chance! if you have a Laptop computer with a Pentium 1 possessor, do you think if you leave it Billions of years and come back to it, it could upgrade itself and becomes a Laptop with Pentium 2 processor? Impossible.. right? So be realistic and wise and don’t be stubborn about the wrong things. 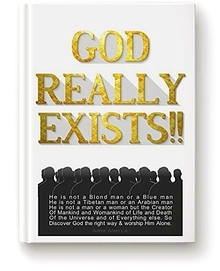 Finally I totally recommend this book: God Really Exists!! for your to read, which will give you more proofs and reasons to believe. It is available on Amazon. Can I become a Muslim?